Each Spring, besides planting many annuals in the garden that I grow from seed or buy at local garden centers, I also put out quite an assortment of plants in containers that I display on my deck and patio, by the pool, along the side of my house, by my front door and even by my mailbox. Over the years I’ve amassed a collection of planting vessels that run the gambit from terracotta, to metal, to ceramic and plastic. 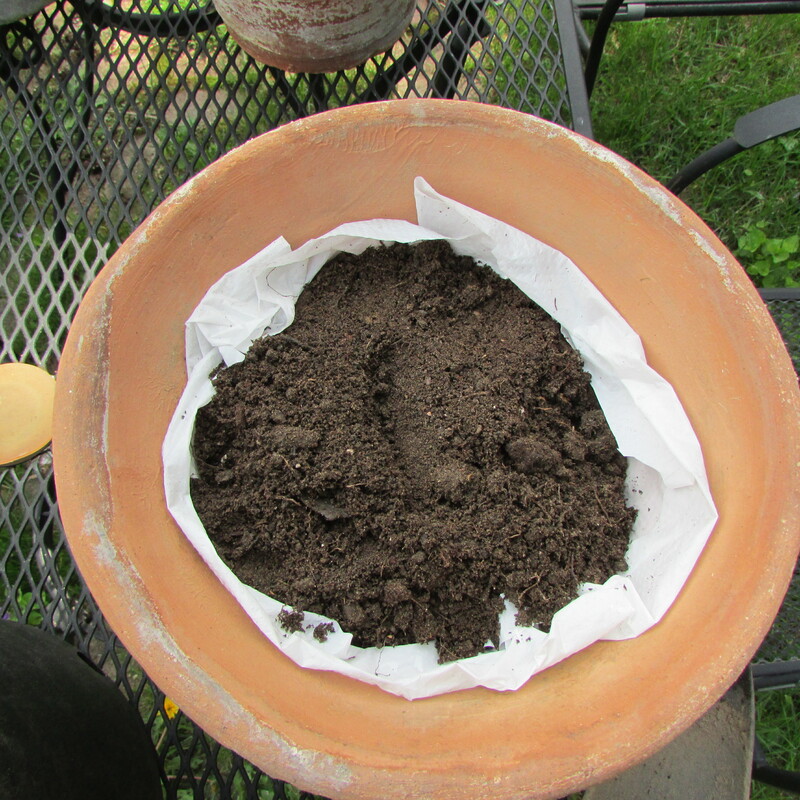 Most of my planting containers I can just fill with soil from the garden and plant away, but I have a couple of, not inexpensive pots that are made of porous terracotta that seems to pull the moisture from the potting soil, which makes the plants dry out quickly. To remedy that moisture-wicking situation I line the pots with plastic cut from tall kitchen trash bags before adding my plants, which easily remedies the problem. This post is a quick pictorial showing how easy it is to do. Step one…take a tall kitchen trash bag and cut it in half, cutting from the bottom edge to the top of the bag where it opens. 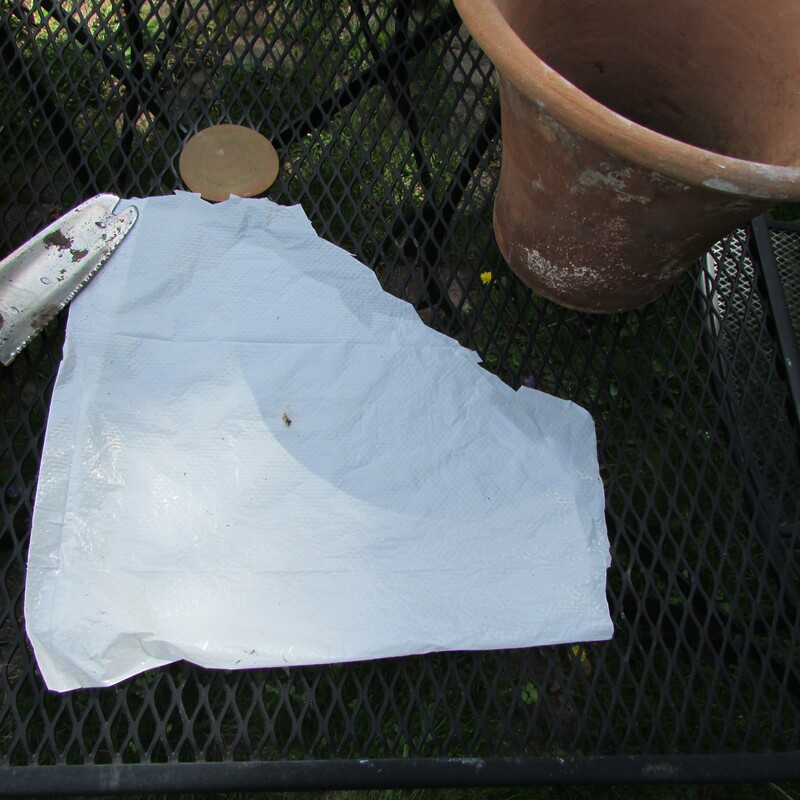 Looking at the above two photos, the top photo shows the left side of the cut bag, and the lower photo shows the bag turned with its pointed side pointing down, which will be aimed toward the bottom of the pot. 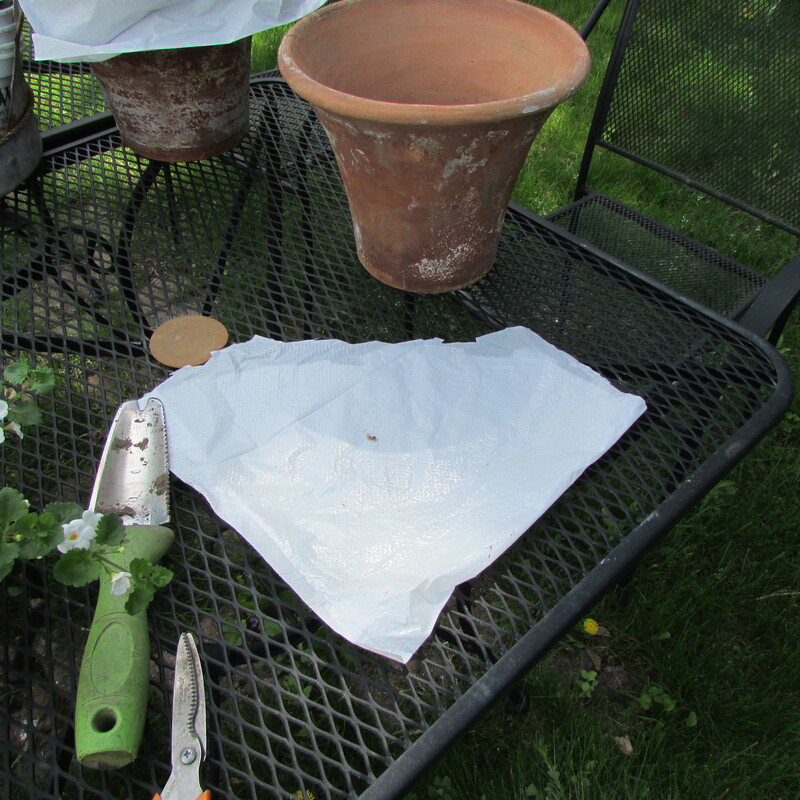 Step Two… The above photo shows the plastic bag inserted into the pot and a little excess plastic still needs to be cut away to just meet the lip of the container. Step Three.. 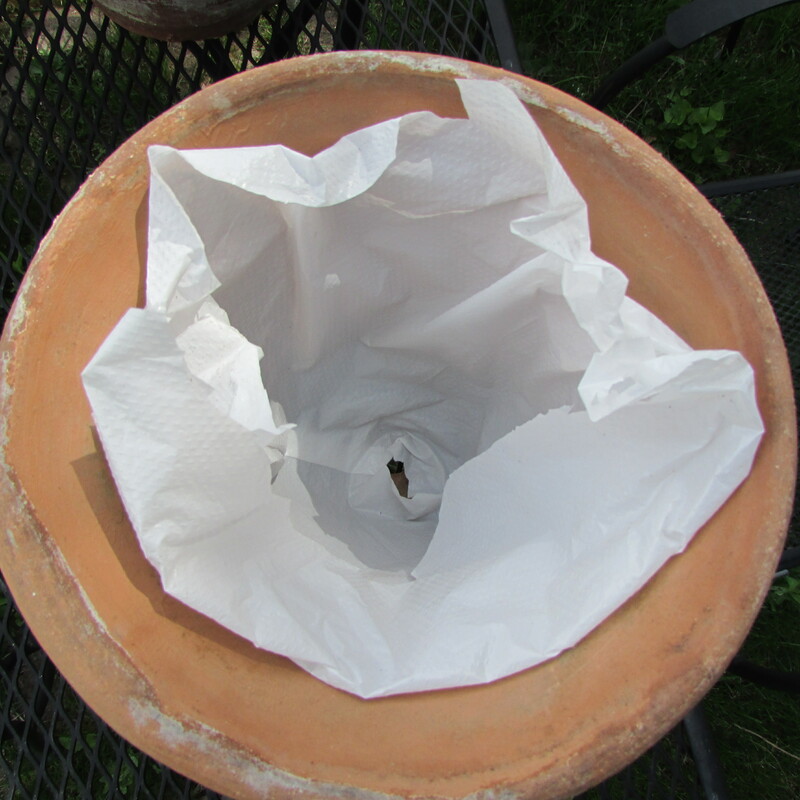 Remove the trimmed pot liner from the container and snip off the bottom point, make the hole bigger rather than smaller, as your objective with the pot liner is to stop moisture from leaving through the side walls of the pot, not the bottom. If the hole is too small, excess water might not easily leave the pot liner which would create a bag of mud and most likely drown your plant. Step Four.. 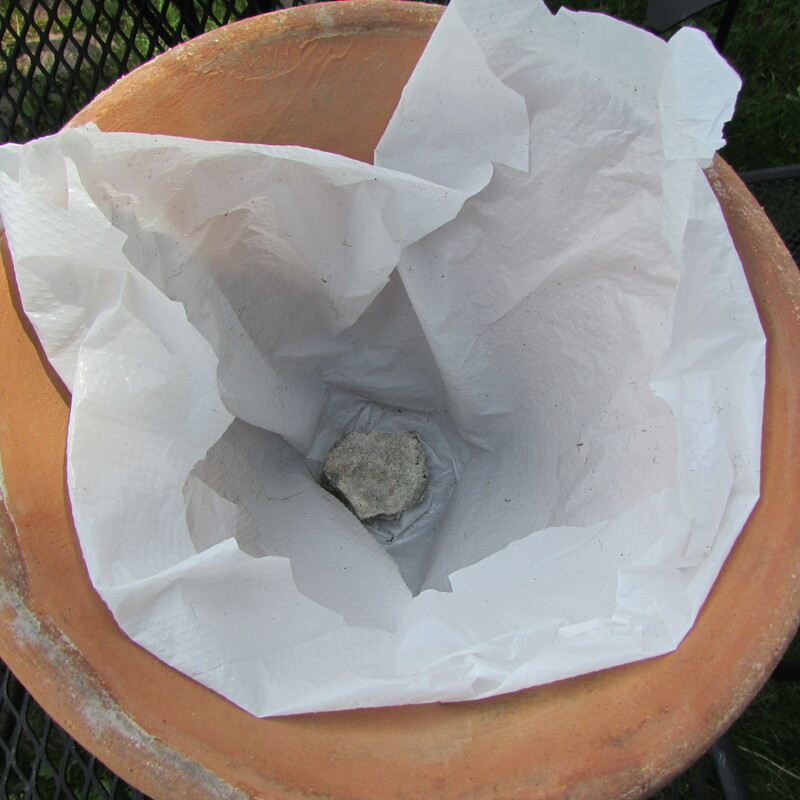 Put a stone in the bottom of the pot to cover the drainage hole so the planting soil does not run out of the container when watering. Step Five.. 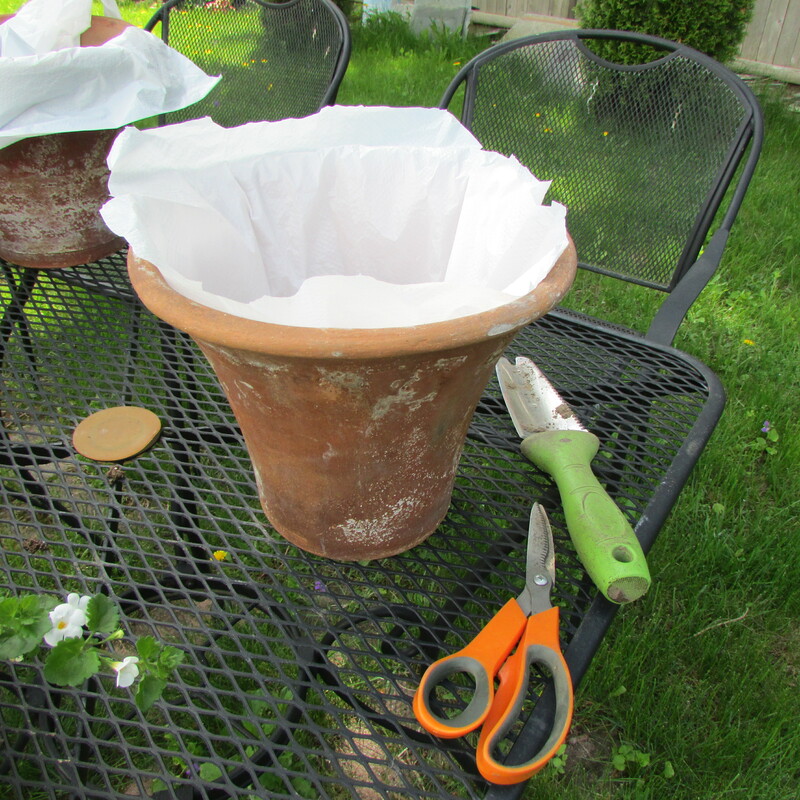 Fold down excess pot liner fabric so that it is not visible when the plant is inserted and add potting soil. I like to leave one inch of space from the top of the soil to the lip of the pot so that there is room for water to sit for a minute on the soil so it can easily absorb into the planting mixture, versus running off. Step Six.. Finally add extra soil to completely hide the plastic liner. At this point I like to add a tablespoon or so, depending on the size of the container, of a time release fertilizer like Osmocote smart-release plant food Plus, as seen above, so my container plants are fed for the growing season. 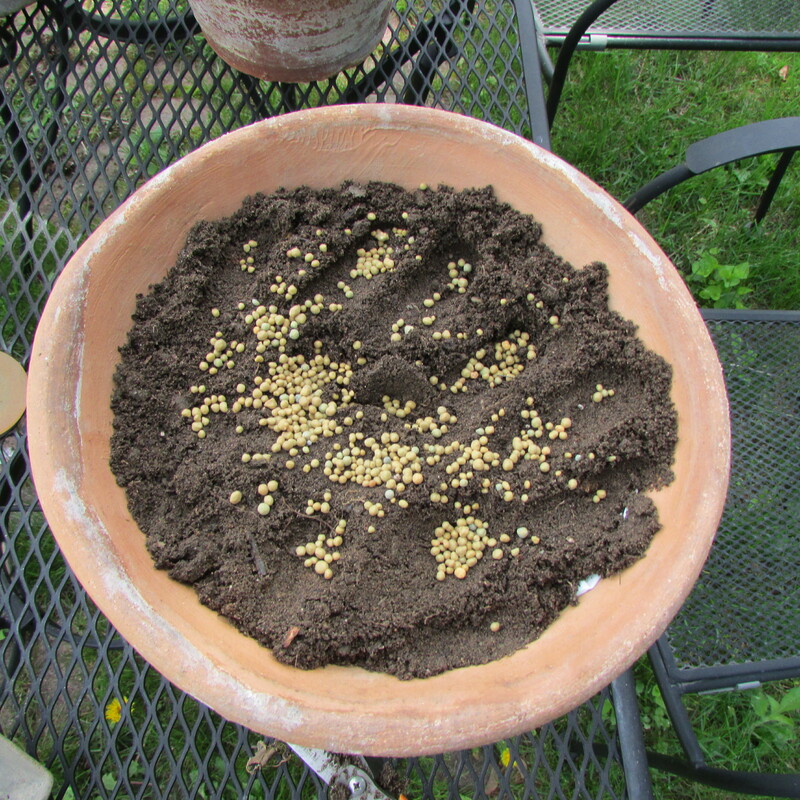 I then mix the granules into the soil and plant your pot. So there you have it, a quick and easy way to help potted plants stay hydrated a bit longer during the long hot days of summer. Happy Planting! Thirteen Ideas for Decorating your Country Garden 7-20-2013. This entry was posted in The Spring Garden. Bookmark the permalink. What?! I like clay or terracotta ‘because’ it is porous. I never thought of making it less porous. I suppose that could be a concern if I grew more annuals that dry out easily. We use wine barrels, which are remarkably poorly drained. I think it is just because of the volume of the soil. They work well enough, so I never tried to fix it. Hi there Tony, my pots that seem to dry out quickly came from Campo De’ Fiori and they are meant to grow moss on them if you like that look. I think the formulation of the porous clay helps the water to exit the soil and go out through the pot’s surface which keeps the exterior of the pot moist, which promotes moss growth. 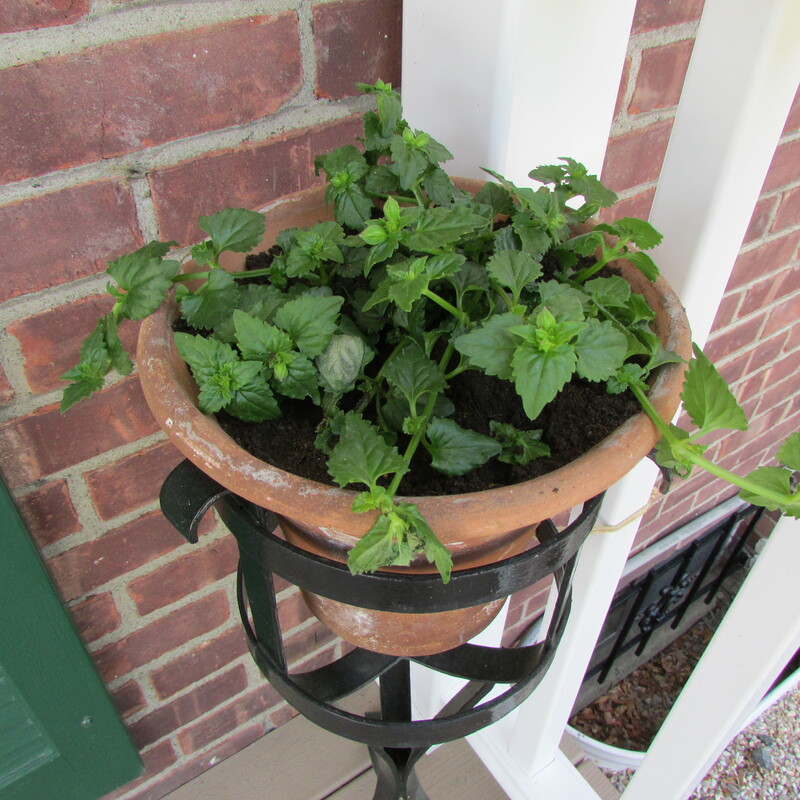 I would also line antique pots with plastic, if I had some, so they would not take on soo much moisture.